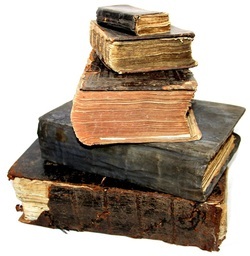 In 2006, on behalf of a private owner, Tamoikin Museum sold a rare collection of six ancient Christian books for $6,5 million dollars - on the average $1,080,000 US per book. These books date between the years of 1610 - 1725 and are considered as one of the rarest known Slavic scriptures in the world. All were from Imperial Russia, with two being of early Ukrainian culture. This sale was private, however some of its details were made public and were published in the national magazines and newspapers in Russia and Ukraine. The value of this book collection was determined by Technology TES. Ancient books are one of the most valuable assets in TAF’s collection, as every publication represents the life and culture of an important period in human history. Such books are a solid source of information in a readable documented format, something that separates them from other collectibles. Each page with every word carries forward a unique knowledge for the future generations to study and reflect upon. Many ancient books contain an original and distinctive style of writing or print, unique and magnificent illustrations, as well as highly valuable handwritten notes. All of these aspects significantly increase value of these books. Perhaps the most notable is the fact that, unlike all other art, antiques and collectibles, it is nearly impossible to fake ancient books. At the same time it is very easy to identify an authentic old book from a forgery, even for a novice expert with limited equipment. In the face of countless scandals, scams and ever growing amount of fakes on the entire art market, ancient books stand alone as a unique asset that offers an unprecedented 99% security from fakes, forgeries and misrepresentations. This makes such assets very appealing to serious art investors, collectors, private and public museums, and of course art funds. Undervaluation of ancient books and underestimation of their cultural and monetary potential is beginning to change worldwide. We believe ancient books will surpass most high-end art and antiques and will break sales records in the very near future. That is why we heavily invested into this asset class and own one of the largest collections in the world, with some of the rarest ancient books in existence. New York Times: In 2013, one of 11 copies of a book called “Bay Psalm” printed in 1640 was sold on Sotheby’s for $14,165,000 to David Rubenstein of the Carlyle Group, an investment firm in Washington. Mr. Rubenstein has bought a number of historical documents in recent years, including a copy of Magna Carta for $21 million in 2007 (or $23.7 million today, adjusted for inflation). Please enjoy a small preview of our antique books collection. Tamoikin Art Fund owns over 2400 ancient books, most of which date between 19th and 17th centuries - some of which are known as the only surviving copies in the world. Please note: all books shown below were chosen for open display primarily because they’ve already had previous public exposure. This limits what we are able to show to our visitors. More detailed information about our books is available through our private catalog and database. This information is offered to serious investors only.